Thanks as always to Jen, the hostess with the mostest. 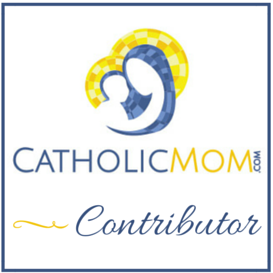 She hosts the Seven Quick Takes at her blog, Conversion Diary. I now know that is crazy-talk. When life slows down, it’ll mean the girls have flown the nest, and then I’ll be sad. I’m going to try to embrace the craziness and not freak out that I have to leave my Hobbit Hole again this week. 2. Little Girl asked to play basketball with her older sister this winter. It’s a really small league of homeschoolers – at least the basketball season is – and before I mailed in the check that was double the amount it usually is for a sport’s season, I asked her, “Are you certain you want to play?” (She’s not really the sports/competition type.) “Oh, yes!” she assured me. The other day, she said, “I feel bad because I decided I didn’t want to play basketball after all and now it’s too late.” Yup. Too late. She’ll play another season of sports that she really isn’t interested in playing but that she asked to play because the real thing she wanted was to do something with her sister and this is the best bet because Big Girl can’t suddenly join up with dance and be in Little Girl’s class and so we’re all going to ENJOY the basketball season and Little Girl will thank God Almighty in Heaven Above that the season is only six games long including any potential playoffs. 3. Thanks to the lovely Jen, we also have patron saints for the year. I informed Travel Man that we’d be doing this. First, it’s good to know your family. Second, we now have the amazing wall set up in the spare room for the Communion of Saints. We put our family and friends, plus any people we’re praying for (priests, religious, whatever) in the Church Militant level. We put our beloved dead in the Church Suffering level. Finally, when we know a saint well enough, we put them in the Church Triumphant level. This will give us four new family members to put in Church Triumphant. Little Girl got Therese (the movie) for Christmas, and St. Therese will go up soon. Big Girl did a report on St. Francis, as well as read all about St. Gianna Molla, last school semester, so we’re going to print pictures of them and put them up, too. It’s really going to be cool, and a nice way to get to know the many saints in the Church. 4. I got St. Charles Borromeo, who is patron against abdominal pain and intestinal difficulties. This is extremely humorous to me. Here’s why. 5. For Christmas, Travel Man decided that I needed new clothes, and more than the “I think I’ll get a new pair of jeans and watch for those pretty sweaters to go on clearance.” (I was breaking down about the jeans when Big Girl announced loudly that I had a rip in the backside of my older pair. I’ve been wearing longer sweaters since then.) He took me out on a shopping and lunch date yesterday and we bought several nice things for me. I’m wearing one outfit on Sunday to a Baptism we’re headed to. I’m VERY excited. And grateful. I’m the last one who gets clothes most of the time, and it was neat to be out shopping just for me, even if I was a little uncomfortable with it being all about me. 6. This week, I kept looking at my desk, thinking that it really needed to be cleaned off. So this morning, I dumped an entire extra-tall mug of peppermint-mocha coffee all over everything, including my camera and the new external hard drive and the iMac’s keyboard. (Okay, so it sloshed UNDER the external drive. But still…) The camera seems to be working fine, and it smells really yummy, and the keyboard is working fine, as well. Hard drive didn’t really get yucky, and the papers were mostly trash-bound, anyway. So now my desk is almost totally cleared off. I recommend going with a less-stressful method, though. 7. How about a fun music video? This church does some neat things as openings for their services. They did a really awesome thing for Father’s Day, and this was for one of their Advent services (though I doubt they called it that). December 31, 2010 in Seven Quick Takes Friday. If you do need to clean out the keyboard, don't forget to take a photo of where all the keys go before you pop all of them off.